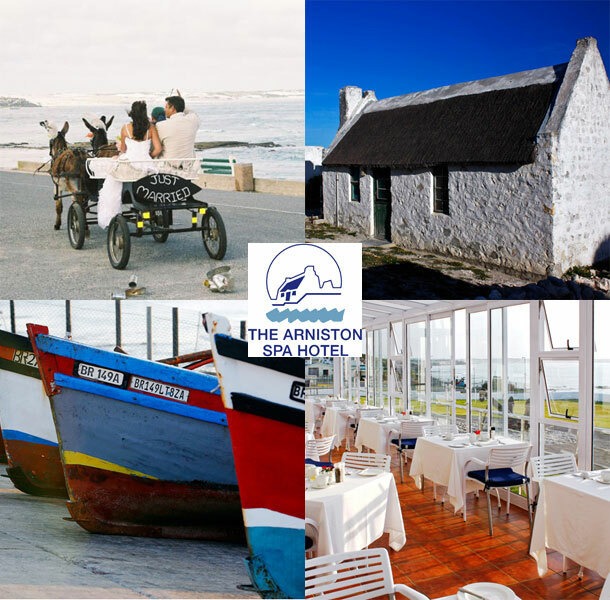 The Arniston Spa Hotel is a leisurely two-hour drive from Cape Town and is set in one of the Cape’s most exquisite locations, next to a 120 year old fishing village, surrounded by pristine beaches and nature reserves. The luxurious 4-star Arniston Spa Hotel is internationally known as one of the world’s great getaways and includes a relaxation spa. We welcome you with panoramic views of the unspoilt ocean and endless beaches. Blessed with an abundance of sea life, the hotel offers oysters from nearby shores and delicious fresh line-fish from the local fishing boats. Because of our location, the Arniston Hotel is a romantic wedding venue that can cater for all your special needs. Our exclusive wine cellar is a cosy venue that can host up to 34 people for a memorable dining experience. We provide attentive service with a wide selection of excellent food and wine. A fun idea is to get your guest to book their accommodation at the hotel and you can enjoy a weekend of wedding festivities under one roof! 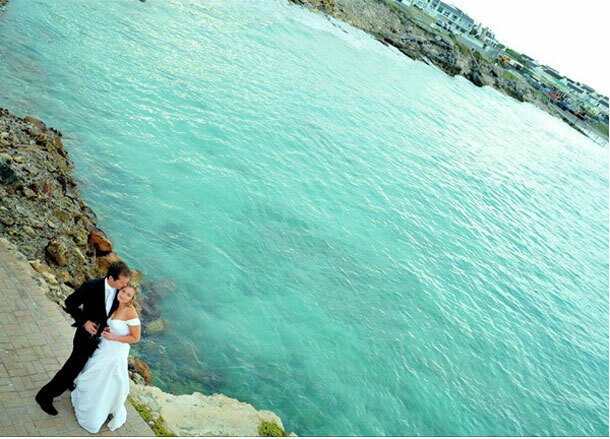 To book your wedding at this gorgeous seaside venue telephone the team on +27 (0)28 445-9000. Alternatively visit The Arniston Spa Hotel for further details or to send an enquiry.